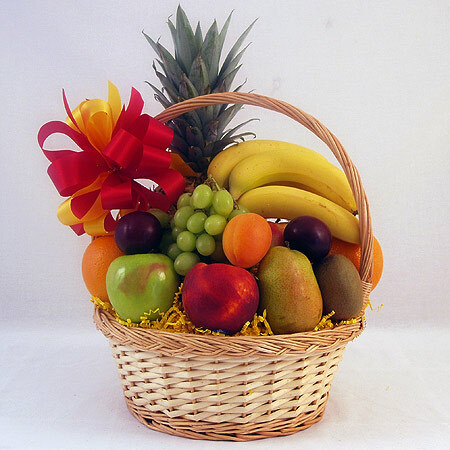 A seasonal variety of delicious fresh fruit beautifully arranged to make a healthy and thoughtful gift. Please order 48 hours ahead. Local delivery only, we cannot ship this fresh fruit basket. Not available during the month of December.